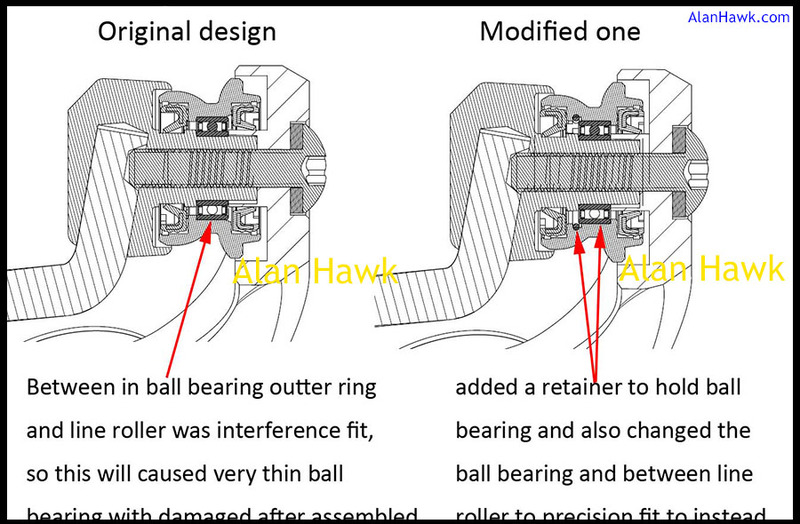 Following the review Okuma got in touch to let me know that the engineers in Taiwan were studying the review and taking action to address the issue. Their conclusions matched mine that indeed due to the small size of the ball bearing in the line roller, some suffered a bit of distortion when pressed into place. I received the new roller and did my best to systematically test and pressure it, and I'm perfectly satisfied with the result. After posting the review I received a good amount of information from owners of the reel around the world and got a chance to examine a few Makairas in person, and my estimate is that the problem exists in about 10-15% of the reels. So if your line roller runs normally then you are good to go, but if it feels bumpy when you spin it with your finger then you need to get in touch with Okuma. They assured me that they will take care of anyone whose reel is affected either by replacing the roller at Okuma's service centres, or by sending the new roller to the owner if he prefers to replace it himself. 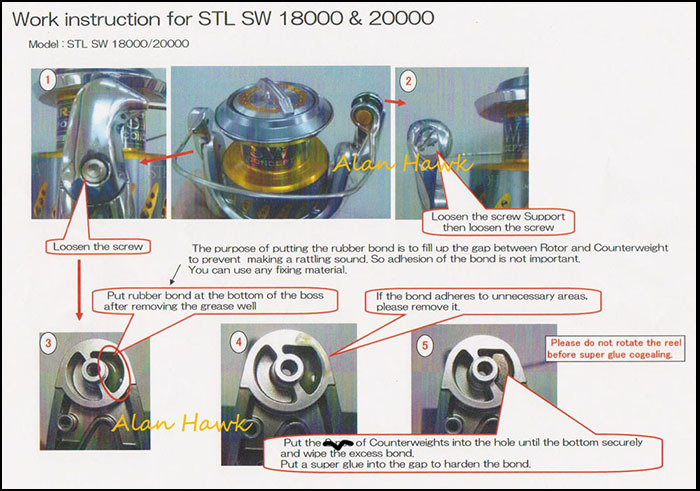 In the past when other reels were redesigned to address issues it usually involved major work or messing about in mag-sealed areas to upgrade, so it wasn't something I recommended doing yourself. This time though it's an easy upgrade so I created a photographic guide for those who want to get the roller from Okuma and swap it themselves. First step is unscrewing the line roller screw. You need a size 10 Torx screwdriver or wrench. 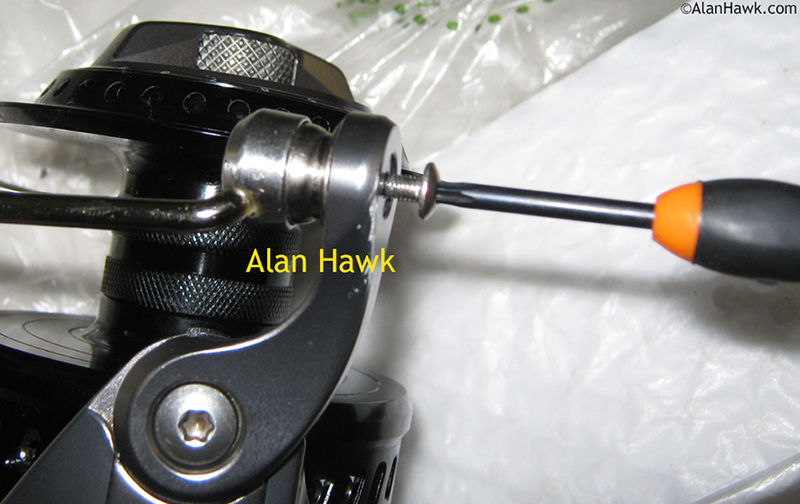 Torx screws are not very picky and a size 9 would work, but use the correct size just to be 100% secure. Leave the bail wire alone, and instead open the bail arm so it clears the way to pull the line roller out. 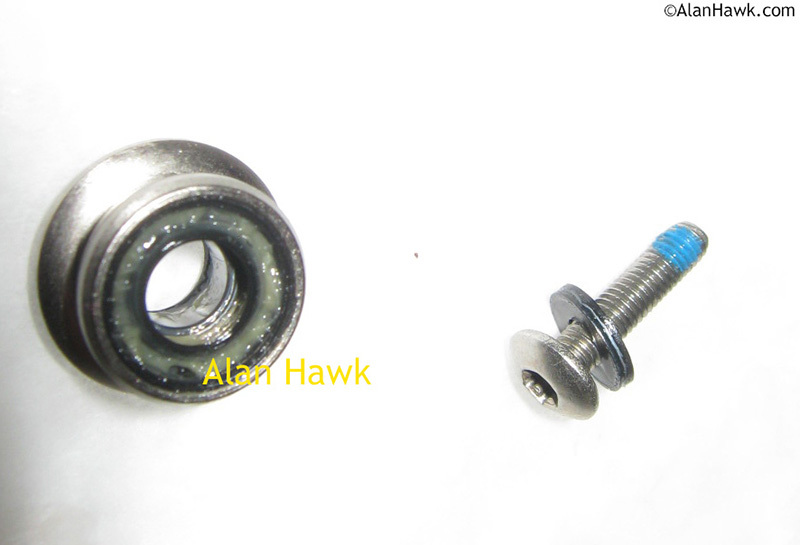 These are all the parts there; the screw with its washer, and the line roller with its mounted oil seals. 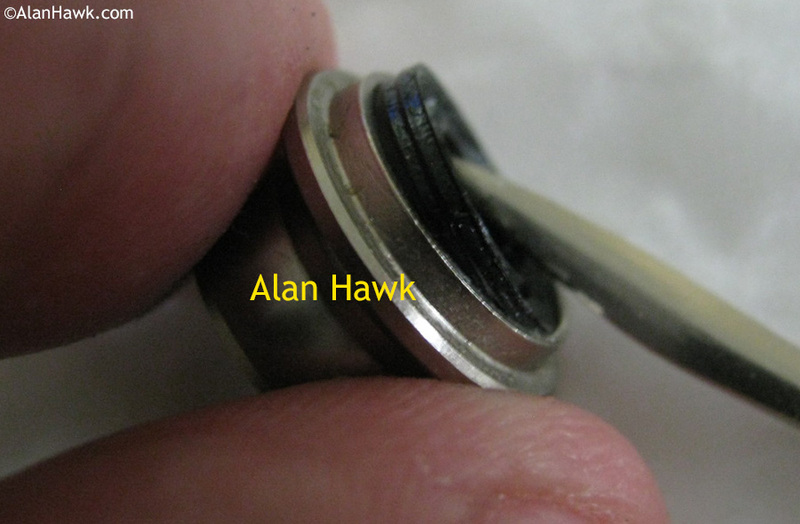 There are no little shims or tiny washers. Pop the oil seals out on both sides of the line roller. A small screwdriver or anything similar would do the job. Remember the correct orientation of the oil seals for when you put them back; the side with the channel faces out, and the solid side faces in. Here is the upgraded line roller, and in it you can see the new retainer of the bearing. Insert the oil seals in both sides of the new roller following the orientation shown in previous photo. It's quite easy and you'll only need to push them in place until you feel a satisfying "click" that tells you the seals are in place. 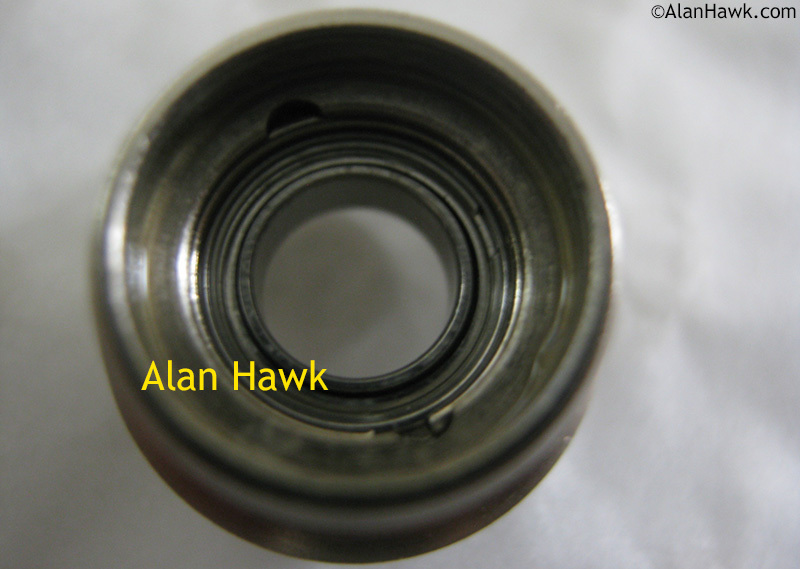 There is a step in shaft of the housing whose job is to align the roller and seals for perfect running. You will feel a little bit of resistance when you reach this step, simply push the roller and the seals will slide over it. The red stuff you see is grease. It's very useful to grease everything for extra protection. After this you just need to return the bail arm and mate it with the new roller, then put the retaining screw back. 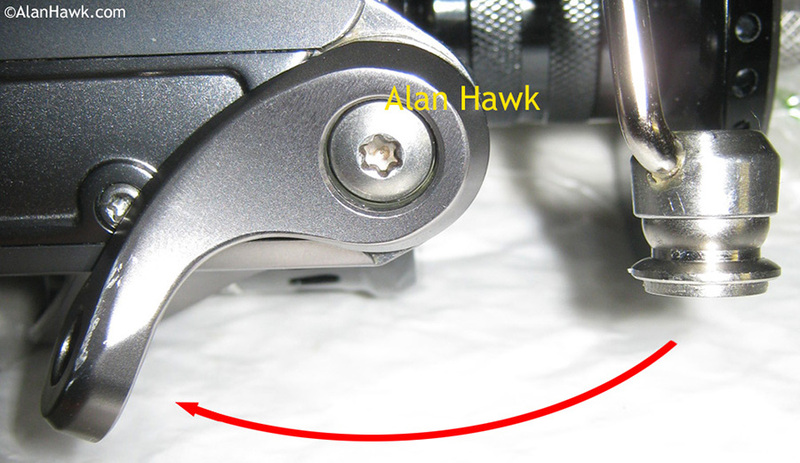 Don't over-tighten the screw, especially if using an L shaped Torx wrench which applies too much pressure without you knowing. 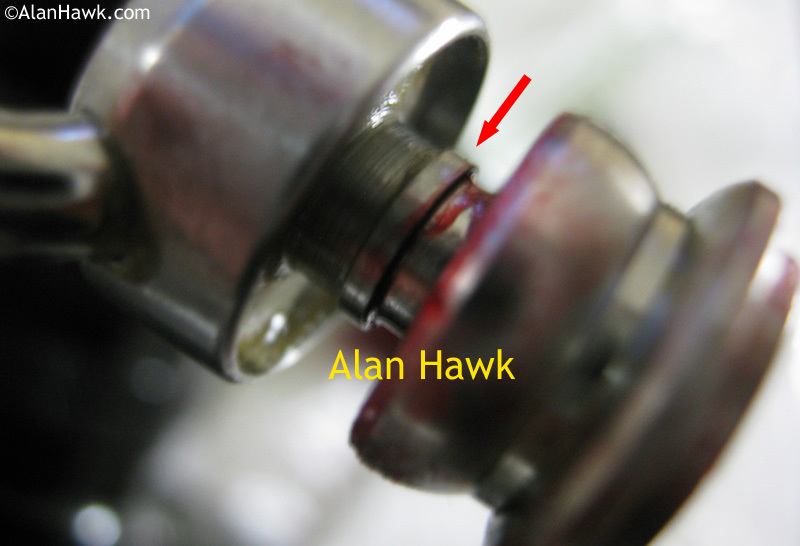 The screw stays in place with just a reasonable push to tighten at the end. That's it. I give credit when it's due, so I need to give some to Okuma here. It's not the first time a reel -high end or otherwise- was redesigned following a review, but this time Okuma did it so swiftly I was almost shocked. They gave it immediate attention, got in touch and updated me with the details of what they were doing, and throughout the whole process I felt their sincere care and got positive vibes from them. In instances in the past some companies (not all) were sore and almost pissed off as they upgraded reels and communicated that to me, as if their egos were hurt that I dared to fault their work. Those companies were basically fixing the reels because they needed me to give the upgrades the thumbs up and update the review so their sales would recover, but it felt as if they hated every second of it. Okuma though was very gracious and seemed genuinely happy that they were perfecting their reel, and that was pretty refreshing. I want companies to respect my fellow fishermen enough to fix any issues that appear, without ego, lies, or attitude. Okuma did impress me greatly and I hope this kind of care about anglers will infect the rest of the industry.